Do you need to believe in ghosts to enjoy a ghost story? When I was in the midst of researching and writing the history of a 160-year old insane asylum I led monthly tours of the abandoned, boarded up, 176-acre Victorian-era campus. Without fail at least one person in every group asked about ghosts. When other people led the tour they would offer up a rather boring tale of a door slamming shut. When I led the tour I would alternate between saying that being a doubting Thomas, I was the wrong person to ask, or I would that it did a dishonor to the lives of the thousands of troubled souls who lived at the hospital to sensationalize its history. Either way, those interested in such things no doubt found me to be quite the buzzkill. What level of belief is necessary to enjoy a ghost story? Needing something to listen to on my commute and having a long standing notion that I needed to give the fiction of Susan Hill a go led me to choose The Woman in Black. Over the years I have seen much praise for the book and the moment seemed right for me to see what all the fuss was about. It turned out to be perfect on audiobook. I think Hill perfectly conveys the time and setting of the book and her language and dialog felt right to me. I found it quite enjoyable and there were definitely some page-turning, suspense-filled moments. But about a third of the way until the end I started to think about how some judicious editing could improve the now-lagging story. While she tried to string along the suspense for as many pages as she could it gave me a chance to think about some of the flaws in the story and the telling of the story. If I had any sort of tolerance for the paranormal this wouldn’t have happened. Without including any kind of spoilers, let me just say that when I found out the nature of the paranormal activity and its outcome, my overwhelming thought was “so what?” and “is that it?”. Again if this sort of thing was my thing I probably would not have been so dismissive. However, I will say that I enjoyed Hill’s writing well enough that I will probably give her another go in the future. Despite my disappointment toward the end, I really did enjoy the listening/reading experience. One of those cases where the journey is more enjoyable than the destination. No comment of mine on Susan Hill would be complete without referencing my near-tirade about her book about books Howards End is on the Landing. Previous Article I. Love. This. Book. Next Article Did E. F. Benson invent the Real Housewives? I haven’t read this book, but I’ve seen the play and the movie and tend to enjoy ghost stories, but I found the resolution to this kind of blah. There are some great atmospheric moments along the way, but neither the movie nor the play really held my interest the whole way through. As ghost stories go, it was just too ordinary for me to love it. 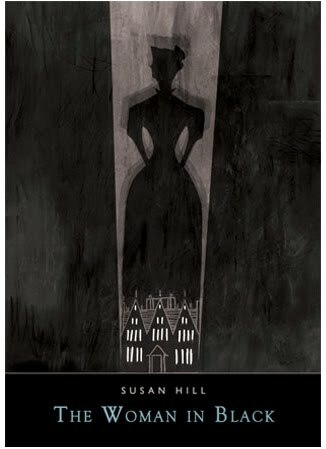 My favorite ghost story of recent years is still Sarah Waters’s The Little Stranger. I did enjoy the atmospherics (especially sorting through papers! ), but felt there could have been much more haunting (and realistic) possibilities. I don’t believe in ghosts, but can be properly freaked out by a good ghost story. But I also have to read them at the right time (preferably when it is cold…which is like never in Southern California…and dark) I also wasn’t scared at all by The Woman in Black. To make it worse, the edition I read had twee illustrations which made it feel more like a children’s’ book to me which further lowered the fright-factor I felt. I think things have to be really real for me to get freaked out. Like Doris Lessing’s The Fifth Child. Now that freaked me out. I don’t think you need to believe in ghosts to enjoy a ghost story. What you need is a good storyteller. We all need some level of ‘suspension of disbelief’ at some point. Suspending disbelief might be one of the hardest things for me to do. I agree with James, you don’t have to believe in ghosts to enjoy ghost stories. I don’t believe in ghosts but I hate scary movies and I rarely read horror. However, I thought Wharton’s ghost stories were great, and every year I tell myself I’m going to finish reading M. R. James’ short stories. I did read The Woman in Black and thought it was pretty good, but the first time I tried to read HEIOTL, I nearly threw the book across the room because I found Hill to be so smug. I think I finished it a year or so later, but was underwhelmed. I am pretty sure I have Wharton’s ghost stories. Good to know they are worth reading.